In developing worms, the pruning of excess synapses requires proteosome-mediated protein degradation and is selectively prevented by a neural adhesion molecule. No, no, no, no, no! 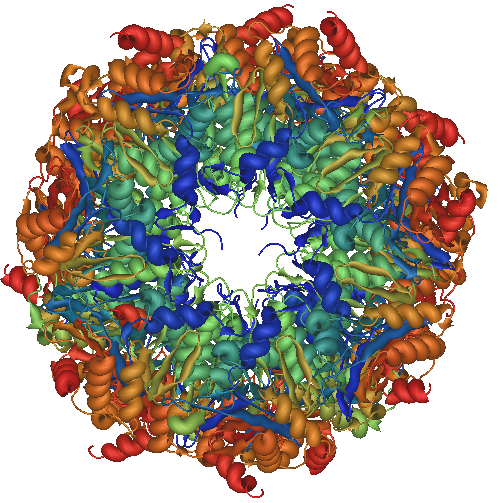 There’s no such word as “proteosome“! It’s “proteasome“. It’s a horribly common mistake (PubMed has 7280 cites for the misspelled version, and 11813 for the correct spelling — a ratio that’s actually nearly ten times worse than the generic web’s)Â 2 but it’s a mistake nonetheless. This is far from the first time Science has done this3 and I wrote to them the last time they did it, which was in June for the teaser “Selective Proteosomes”. I wrote to them again today, but I’m not optimistic; the misspelled version from June is still there. Some editor at Science needs a sharp smack upside the head.